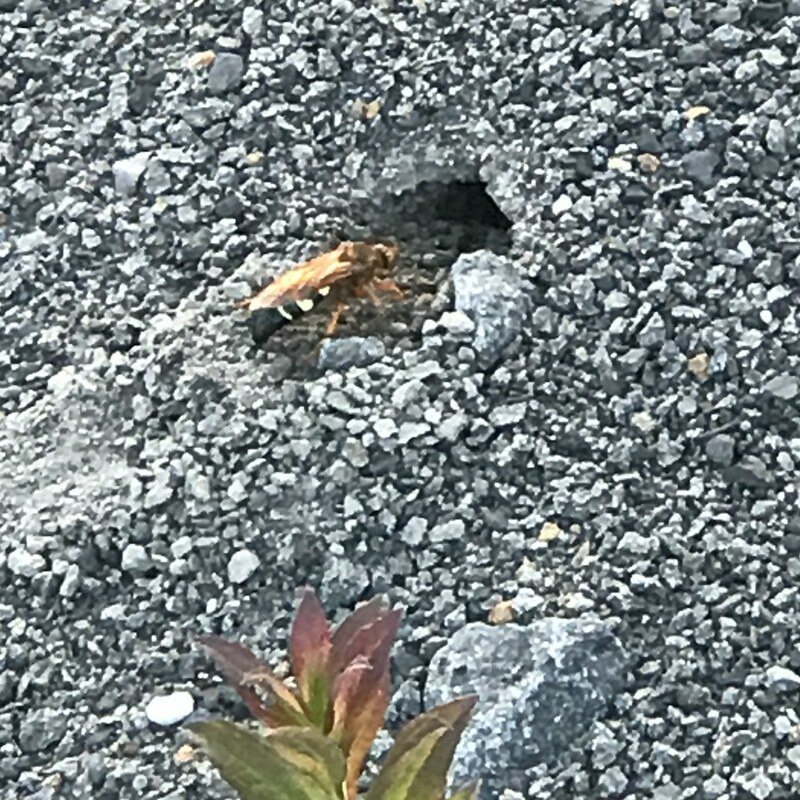 In late-July I stumbled upon a large mound of sand at a construction site that had several large wasps digging holes. I had never seen a wasp that large in my life. Turn your volume up for the tail end of this audio bit. Video: Ground Digger Wasps in Australia. Look a bit narrower and perhaps smaller than the ones I encountered.